So I’m grabbing a couple of hours before work to sit in Starbucks and write this blog post. I’m aware that considering the social media raging that’s taken place over the last week, that’s become a potentially controversial statement. And this, is where my thoughts have come back to. Sometimes, I think Christians, myself wholeheartedly included, are so distracted from the real things that the heart of God breaks over. We make a big song and dance about how there are no snowflakes on a red coffee cup this year, but we fail to raise our voices on the issues of injustice, poverty and restoration that Jesus lived His life to embody. We challenge people to pretend their name is ‘Merry Christmas’ so that it gets written on a throwaway cup, but we don’t love others in a way that’s going to write the real meaning of Christmas on their eternal hearts. 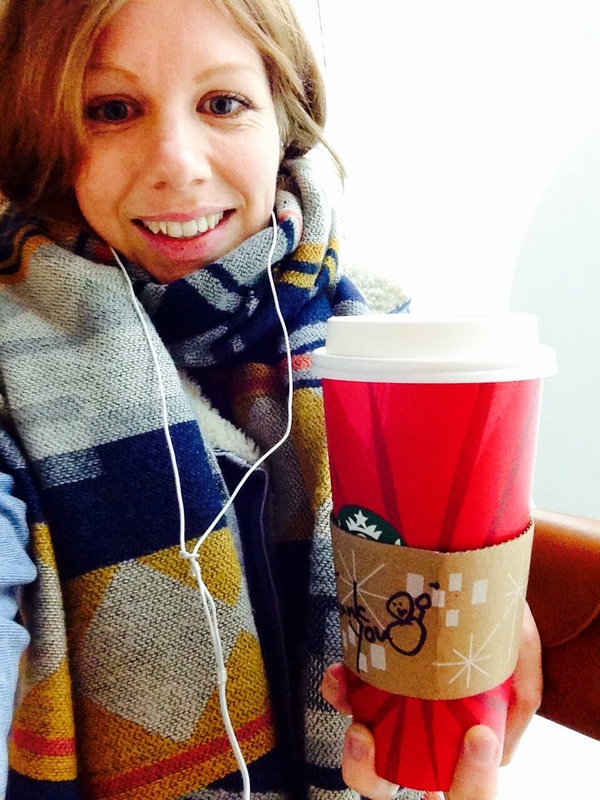 Now, I’m not saying you shouldn’t get ‘Merry Christmas’ written on your cup and post a super attractive selfie with it. If that floats your boat then go right ahead. But what I am saying is don’t spend so much time ranting at Starbucks that you forget the everyday challenge of displaying Jesus in your words and actions and everything that pours out of you. For example, please, PLEASE don’t go and be a douche to your Barista (who, by the way, has no input on the design of the cups and probably needs the job) and then tell them that you’re behaving like a douche because you’re a Christian. That’s like being an horn-blaring-maniac when you drive and having a fish-bumper-sticker to ‘make up’ for it. Please don’t get so caught up in this that we forget the poor. The kids who could only afford to buy a Starbucks in their wildest dreams. The single Mum who is already panicking about how to buy presents this year for the kids she loves with no money. Those trapped in cycles of addiction and unemployment. The hopeless. As I sit in the warmth of a comfortable coffee shop, shouldn’t I be most challenged to be the hands and feet of Jesus to them? Somehow, as much as I think Jesus is moved by the injustice of our world, as much as He is deeply interested in the intricacies of our lives, I don’t see Him losing sleep over a red cup. I don’t see Jesus running into a morning conversation between Father and Holy Spirit being like, ‘Holy Spirit, get down there! Starbucks went one step too far this year… They got rid of the… Snowflakes?!? The nerve of them! My eternal sacrifice in becoming flesh has in some way been devalued…’ No. I’m sorry. I just don’t see it. Because it’s not true. Nothing can devalue Jesus. Ever. His perfect sacrifice and Kingship will forever stand. Yet, in His perfect Kingship, I think God is moved my us. By our worship. By our genuine thanks. Our genuine change. Our genuine love. I think this season is a chance to remind ourselves to pour our love on Him. To spend our time on Him and from that place pour our love and time into others. And I want to get what moves Him more. This week I’ve been doing some Bible study with some really new or non-Christians. The great thing is that being in Japan, my friends often don’t have all the religious baggage that I often carry around when I approach the Word of God and they read the Bible with these open eyes that just challenge my socks off. So this morning we had been talking about realness, and what realness looked like as a Christian. And we read that story from Luke 18. You know? Where Jesus talks about these kinds of issues. Of being real as a Christian. Of what God is looking at and looking for. Don’t misunderstand me. I’m preaching to myself. My long-term-Christian-proud-Pharisee-like-flesh. But let’s not pose and go public in our Starbucks rage and forget about the mercy of God that we all need everyday. Let’s not be so busy ranting that we forget to love the needy and meet the broken. I so want to get better at this. Loving better. Being distracted less. Having a better heart towards God and towards people. And so my prayer for today is that. Oh, and just to note, right now, I’m sitting in a Japanese Starbucks chain, a country with less than a 2% Christian population… And there’s Christian music playing. Good job this-particular-Starbucks. Good job. ← Another day. Some more DIY. Another scar.